Are We Gathering to be Entertained? The answer to this question may differ from person to person. Some view worship as going to church on Sunday. Others see it as having to do with music specifically. Traditional settings may include music picked from a hymnal and sung to the tune of an organ or piano. Attendees might wear their Sunday-best. Suits, ties, and dresses that reach the floor. A more contemporary setting might include a band that plays new-age music, with bass guitars and violins. The congregation may be filled with the local college population, dressed as they would for a weekday class. But, worship is more than a song; Worship is about celebrating the person and message of Jesus Christ. “How, then, can they call on the one they have not believed in? And how can they believe in the one of whom they have not heard? And how can they hear without someone preaching to them (Romans 10:14)? What is the heart attitude of the church? Where is the focal point of worship each week? Is the church selling a set of rules, special program, kids class, or worship band, or is the gospel at the center of their focus? I’ve seen churches employ all sorts of marketing schemes, working to gain and keep followers. When entertainment is the focus, you draw the wrong type of seekers (John 6:44). Each event, program, or service needs to top the last. It becomes an exhausting, vicious cycle to keep people’s interest, keep the tithe income flowing, and butts in seats. Without actually saying it, the message becomes, Jesus is not enough. So what are the signs that a church might be selling entertainment over worship? The congregation consumes more than it serves. Leadership is “big program” and “numbers oriented” more so than community or outreach. There is a desire to be seen as the “cool church” versus the one that preaches the hard truths of scripture (ie: messages preached feel more like a pep talk, or self help session). Condemnation instead of Grace is shown to those who are perceived to be different than the core members. Are we cultivating the heart of worship? Or, are we gathering to be entertained? Thank you Lord for sending Your Son to die in our place, as payment for our sin. Our sinful hearts are so quick to work for that free gift. In our prideful attempt to draw a crowd, we try and add to what Jesus said is finished. Let our Worship be more than a song. Let our hearts overfill with thanks and praise. In Jesus name, Amen! “Worship is a natural overflow” – I love this Tina. So true! Visiting from #RaRaLinkup! Brilliant, honest post! Thank you for sharing your thoughts on worship and helping me to think this through more! Joining you from #RaRalinkup! It’s always a blessing to connect with you, Ruth! Thanks for stopping by to share your thoughts. How very true, Meg! And, sometimes we take those luxuries for granted, don’t we? Hope your weekend is fantabulous as well. Amen, Tina. I have unfortunately seen churches do this all to often, Yes, if the the message is not enough then there definitely is a problem. Thank you for sharing the truth here, friend. May the Spirit give us discernment to see the heart behind the worship. I’m thankful for your encouraging words, Abby! Thanks for taking the time to read and reply. AMEN! Been to churches where it felt like I was going to a movie theater. Literally. I’m not nor was I going to be “entertained” I NEED Jesus. David Platt’s quote says it all! What would we do if it was uncomfortable to gather together and truly worship? Good questions posed here. The Gospel, plain and simple, is what this culture needs. Thanks for sharing. Amen, Terry! Thanks for your feedback. Have a blessed day! Loved this: “Without actually saying it, the message becomes, Jesus is not enough.” Your prayer was awesome too. Such an important thing to remember: not to market Jesus. Love this reminder. Thanks. Hi Tina! 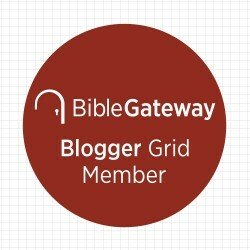 I am one of your linky neighbours from Grace & Truth link up today. Your post title drew my attention because I am asking myself this question all the time. Am I attending church to be entertained? I am thankful for our worship leader and how he as been very up front, like you, that he is not there to entertain but to draw us in to worship God, the father, son and Holy Spirit. Your comment at the end of your points about showing condemnation instead of grace to anyone “different” is a very good point, and something to watch out for every day. I know I am working on that one, when I am too quick to judge. Thank you so much for this insightful post! PS: I love the story behind your nickname, so precious. I hope one day to become a grandmother and be given a name as sweet by my grand-babies! This: When entertainment is the focus, you draw the wrong type of seekers (John 6:44). Each event, program, or service needs to top the last. It becomes an exhausting, vicious cycle to keep people’s interest, keep the tithe income flowing, and butts in seats. Without actually saying it, the message becomes, Jesus is not enough. Yes! Yes! I’ve seen it in churches, and in some of the big women’s ministry speakers. It truly does say that Jesus is not enough. I try so very hard when I speak to make it all about Jesus, because He is the only one worthy of worship. I certainly am not worthy of it. God forbid it. I feel that we have forgotten the exhortation of the writer of Hebrews: fix your eyes on Jesus. It is my prayer for the church today. Stopping in from #GraceTruth. Blessings to you. This was well-said. 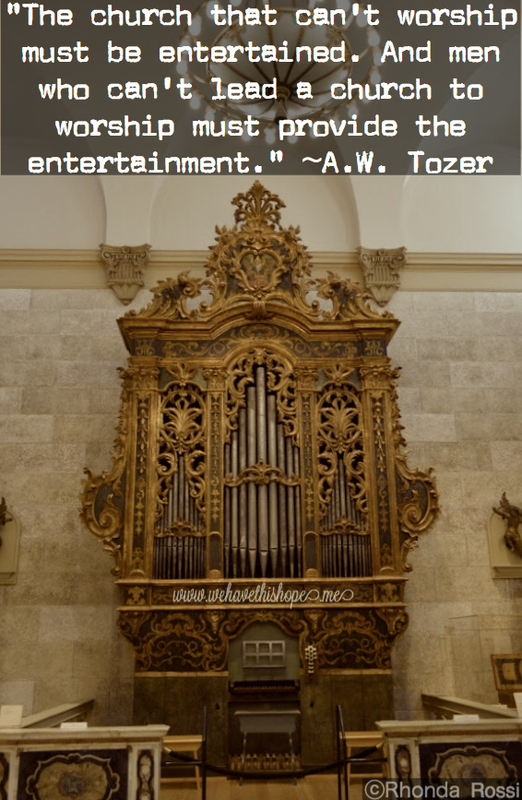 I have worried over the past few years about the move toward “entertaining worship” rather than true worship. I don’t know the heart of others. But it seems like a lot of show sometimes. (This is coming from a band member of a worship team.) I love music. I love getting lost in the music and worshipping God. But it is so easy to just get lost in the music and not giving it all to God. Hi Tina I am your linky neighbor over at Dance with Jesus today! Worship is found in the everyday life of the believer AND then also in the church services with other believers. The challenge and encouragement to check our hearts is for the leader and for the church attendee just the same. Because in the end we are all just God’s sheep; some have been given a bell to wear and called by God to lead… but still, all just sheep in desparate need daily of our shepherd. Thanks for the beautiful thought provoking post… a wonderful reminder to be true worshipers every day!! It’s a blessing to receive your feedback and encouragement, Danise. Thank you! Tina, Tina, Tina. Honey you have said a mouthful in this short post! I commend your bravery for coming straight out with the truth. I pray hearts are open and receptive and individuals will examine where they worship, how they worship and for what reasons they worship. And I pray church leaders reading this will humbly ingest this truth and see if there are changes to be made. Continue to boldly proclaim His truth as He delivers it to and through you. Thank you for praying with me for the leaders of our church. I am always so blessed by your words of encouragement Tyra!